The arrival of my new Sportage raised a few eyebrows among my friends. “An SUV?” they said, “what do you need an SUV for? You don’t have kids!”. They’re right, I don’t. But I do like a big car, and being a keen cyclist, I do lug lots of stuff around on a regular basis. So on paper, at least, Kia’s mid-sized SUV should be right up my street. I’ve opted for the Sportage 2, which as the name suggests is the second model within the range. It should offer me everything I need, and a few things I want, without costing the earth. It rides on big – but not massive – 17-inch alloy wheels, has some chrome bits for extra bling on the outside, and some high-powered LED headlights. Engine-wise, I’ve opted for the diesel-powered 1.7 CRDi. Despite diesel’s current bad reputation, modern diesel engines are as clean as they come, and as I do hundreds of miles on motorways each week, I need the improved fuel economy that diesel offers over petrol. 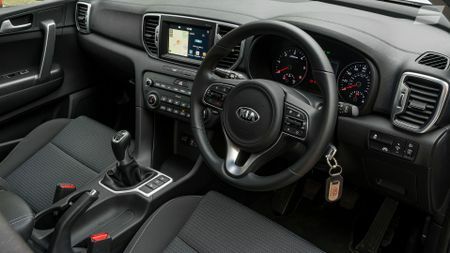 Colour-wise, white is perhaps not the most exciting of the palette that Kia offers. I could tell you that I chose it because of its neutral appeal, with an eye on the car’s resale value, but actually, Kia had a white one in stock, which meant we didn’t have to wait for one to be built. So we went with that. 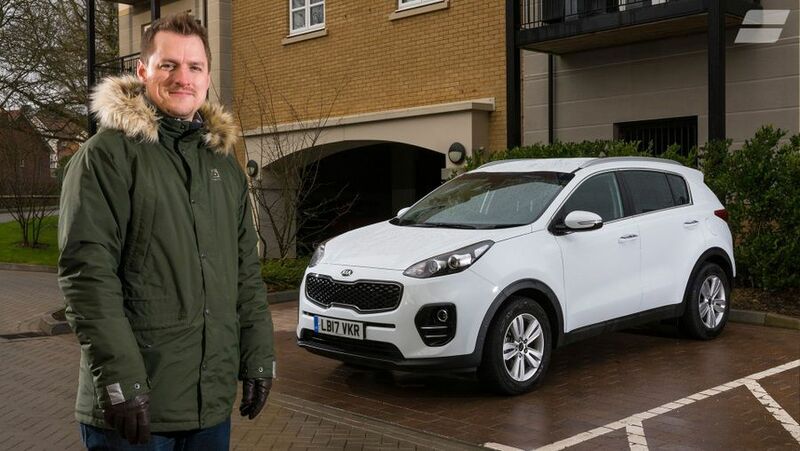 Kia loads its cars with plenty of equipment as standard, and my Sportage has plenty of toys that I’m looking forward to playing with. The obvious stuff is the folding rear seats, which I’m hoping give me enough boot space to hold my bike and associated accessories, for some planned jaunts around the country. Once I’m on the move, I’ll be plugging my phone into the infotainment system via USB, to keep it charged and stream music and podcasts (I’m not much of a radio guy). There are six speakers in the sound system as standard, and as a bit of an audiophile I hope they’re up to the task. The headlights might not seem like obvious features to get excited about, but in the winter months I’m looking forward to having extra power to light the way. I live on the outskirts of town and drive through unlit countryside at night, and will take all the visual help I can get to watch out for wildlife and other rural hazards. The Sportage 2 comes with High Beam Assist, which will automatically dip full beam headlights when it senses an oncoming car, to avoid dazzling them. No more flipping the stalk for me. Stay tuned to hear how I get on. The commute has been my testing ground for the Sportage so far. I cover more than 100 miles a day to the office and back, so comfort is pretty high on my list of priorities, closely followed by fuel economy. So far, I’m happy to report that the Kia has scored well. Opting for a diesel model was definitely the right decision. Despite the recent furore over whether diesel is the Devil incarnate, it’s still the best option for those covering longer distances, thanks to its better fuel economy than petrol. And in larger cars, the inherent characteristics of diesel engines – chiefly its extra torque at low revs – mean there’s no need to work the engine hard to make decent progress. I’ve been returning around 43mpg over the course of the trip, which mixes country roads with stop-start progress on the M25 motorway and then some crawling through town. Not too bad. Comfort wise, my demands are relatively few. Space for my coffee cup and water bottle check. A cubbyhole for my wallet and sunglasses: check. A decent ride quality that won’t shake my fillings loose: check. The only thing I’ve turned my nose up at so far has been the sat-nav. 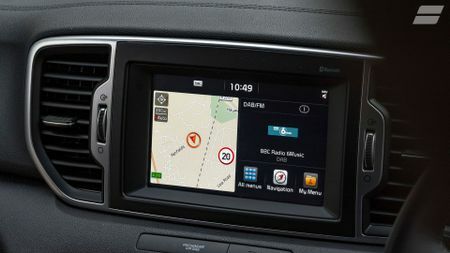 If you just want to know the way to somewhere, it’s fine, but with traffic almost always causing carnage on my commute I want to know the BEST way at that particular time, and the Kia hasn’t been able to keep up with the traffic build ups - hence my annoyed face in the below picture. After a few annoying stints in tailbacks, I’ve resorted to using an app on my mobile instead, which has been much more up-to-date. 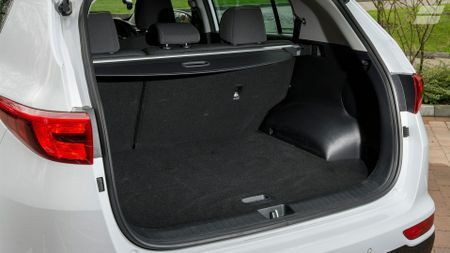 So far, the ample space inside the Sportage has been entirely unused. But as soon as it stops being cold and wet and freezing and horrible, I’ll be taking my bike places. More on that to come. One of my main hobbies is cycling, and I often travel around the country to ride in new places or take part in events. So part of the reason for my taking on the Sportage was to be able to lug my bicycle around. 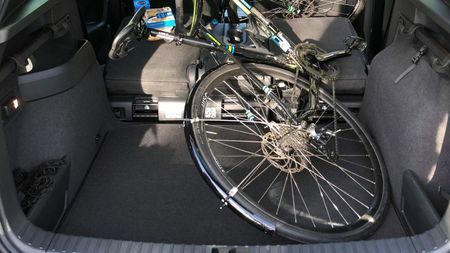 Thankfully, once you fold the rear seats down, there’s more than enough room for the bike to fit in, without even needing to take any of the wheels off (the bike wheels, not the car's). It’s almost as straightforward as it could be; pull a toggle on each side of the rear seats, collapse them down, put bike into boot. Done. If I was being nit-picky, it would have been nice to have some switches in the boot space to drop the seats down, rather than having to run around the car. Some rivals feature this. But it’s not exactly a deal-breaker. Of more concern was when my wife decided that she, too, would like to come for a bike ride. Spacious as the Sportage is, putting two road bikes in, along with a weekend’s worth of luggage, would be pushing it, even if we took the bikes apart. So instead, I called into service a bike rack. Made by Saris, it fits on a range of different vehicles including – luckily – the Sportage. 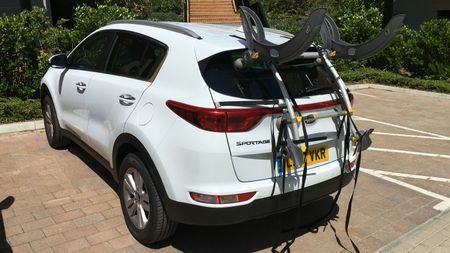 It wasn’t a perfect fit – the wide bottom of the boot lid meant the lower clips sort of rest in place rather than fitting snugly – but it felt solid enough to pass the “wiggle it before we set off” test, and was just as secure at the other end of a three-hour journey. Excellent. This all means that the Sportage is fast becoming a regular load lugger. As I don’t have kids (and, I’m increasingly realising, perhaps not enough friends) the rear seats aren’t being used very much. However, on a couple of occasions when I have carried passengers, they’ve remarked that the ride in the rear of the car is firmer than it feels up front, and that lumps and bumps are very noticeable. Something that might be worth keeping in mind, should you have kids that you want to stay asleep on longer journeys. As anyone in a long-term relationship will know, when you spend lots of time with someone you start to notice their flaws. With a bit of luck, those flaws won’t be enough to ruin the relationship, but it’s incredibly rare that two people are completely compatible with no sources of friction. And so it is with the Sportage. Generally, we’ve been getting on famously but there have been a few things that have made made me raise an eyebrow as our love affair moves beyond mere dating. We’re not exclusive to each other – I’ve been driving other cars, and other people have driven the Kia, too. But a few things that other cars boast have made me yearn for them in the Sportage. Mainly, during my 100-mile-plus commute, it's the requirement to change gears manually that is starting to grate. Having spent a few days in an automatic car, which had adaptive cruise control, it makes getting struck in M25 traffic SO much less stressful. For those unfamiliar with adaptive cruise control, it uses a radar sensor on the front of the car to automatically keep a set distance behind the car in front; if it slows down, so do you, without having to jump from accelerator to brake. 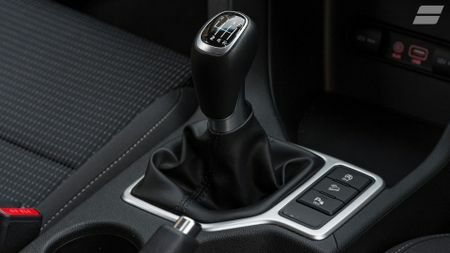 When combined with an auto gearbox, that means you don’t have to jump on and off the clutch in slow traffic. In fact, all you have to do is steer. It’s great, and I wish my Sportage had it. 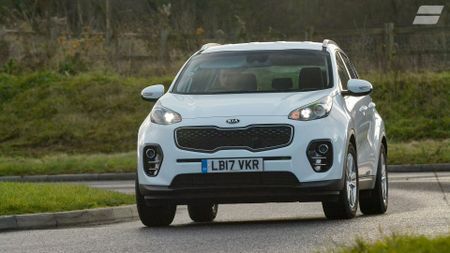 You can specify an automatic gearbox on the Sportage 2, but it’ll add some £1,500 to the price. Adaptive cruise control isn’t available, which is a shame. By the way, here’s what my colleague Rachael Hogg had to say when she spent some time in the Sportage. She wasn’t blown away, but also wasn’t annoyed by anything. “There’s nothing remarkable about it, in how it looks or drives, or the tech on offer,” she says. “But it’ll work for a lot of people because of that.” That seems to sum it up pretty well. Interested in buying a Kia Sportage?